An Anchorage moose hunter says a unanimous decision from the U.S. Supreme Court is "a huge win for the state of Alaska." 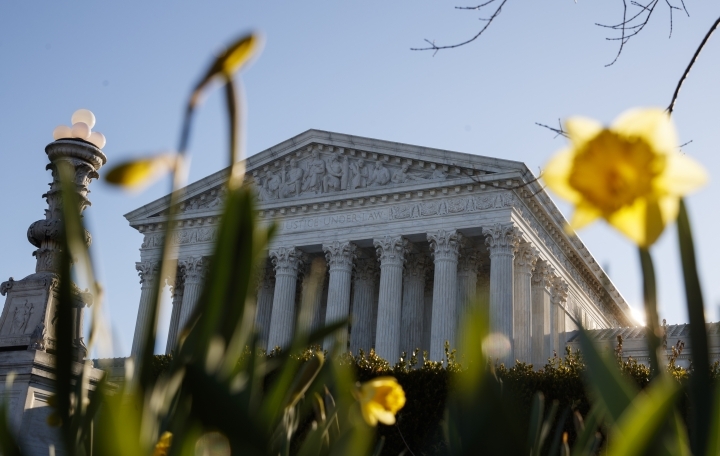 Justices rejected the agency's argument that the river was "public land" for regulatory authority and that the agency's water rights interest gave it rule-making authority. Hunter John Sturgeon says the court recognized that the rivers in Alaska are often used like the interstate highways in the Lower 48. The decision also came with a little humor. Justice Elena Kagan wrote: "Sturgeon can again rev up his hovercraft in search of moose." Sturgeon says Kagan's comments were "pretty cool" and made the decision feel human. An Alaska moose hunter can "rev up his hovercraft" in search of moose, the Supreme Court says. The court on Tuesday limited the National Park Service's authority to enforce laws and regulations on state-owned rivers in Alaska. Justices held unanimously that the Park Service can't enforce a ban on amphibious vehicles known as hovercrafts on rivers that run through national conservation areas there. The outcome was a victory for hunter John Sturgeon. Three park rangers ordered Sturgeon off the Nation River within the Yukon-Charley Rivers National Preserve in northeast Alaska. They told him it was illegal to operate the noisy craft that can navigate shallow water or even mud. Justice Elena Kagan said in her opinion that Sturgeon "can again rev up his hovercraft in search of moose." Welcome to The Zig Zag World. This travel blog will help you to make the most out of your travel time with interesting destination guides. Our paths will definitely cross some day as we zigzag around the world. Copyright © 2015 - 2019 The Zig Zag World. All Rights Reserved.